Trust The Doctor Your Doctor Trusts! 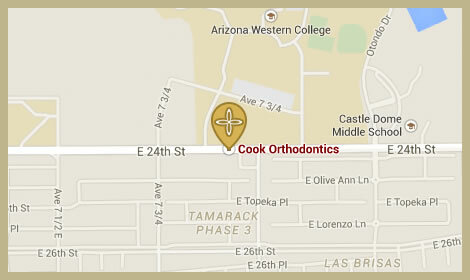 9 out of 10 local dental professionals choose Cook Orthodontics! ... offers contract price matching. ... 20 years of straightening smiles. ... with 3D scanning & 3D radiology. ... has helped hundreds of patients of all ages. 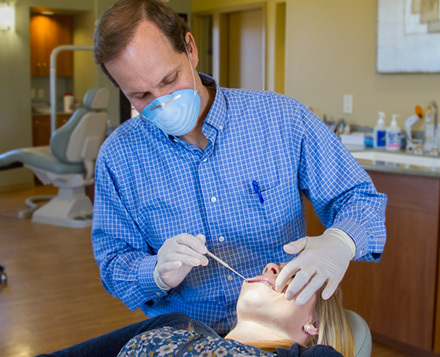 Dr. Jeff Cook is a specialist in orthodontics, having completed a doctorate in dental medicine followed by a two year residency in Orthodontics and Dentofacial Orthopedics. Seeking treatment at the hands of a specialist will ensure you receive the highest quality of care. 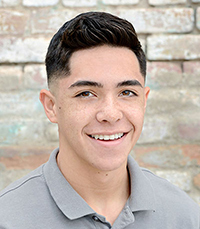 Dr. Cook has treated thousands of patients, and as Yuma’s most experienced practitioner, you are in good hands. You can see the difference in the smiles! Take a look at our before and after photos gallery. 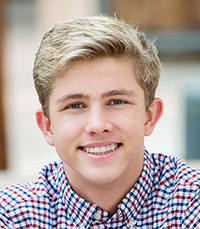 Along with Dr. Cook's expertise, Cook Orthodontics' digital imaging systems provide a cutting-edge approach to diagnosis and treatment planning. This technology provides opportunities to fine tune treatments like never before. Digitally scanning your new smile to 3D systems provides a more in depth analysis and leads to quicker, more efficient treatment. 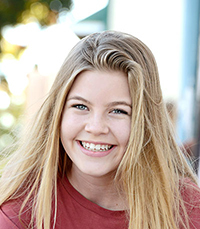 Cook Orthodontics offers a wide range of services in order to provide patients with care that is tailored to fit their individual orthodontic needs. 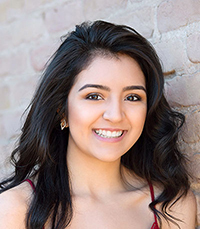 TRADITIONAL BRACES | Traditional braces use high quality stainless steel brackets and wires to straighten your teeth. The modern brackets we use at our offices are smaller than braces of the past, which means they are more comfortable and less cumbersome. CERAMIC BRACES | Ceramic braces use a special clear material, making them less noticeable than traditional braces. 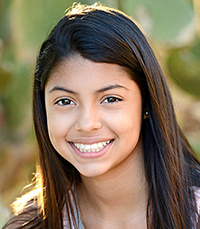 EARLY TREATMENT | Although we are happy to help enhance your smile regardless of your age, monitoring children as their mouths grow allows us to provide beautiful smiles more effectively and prevent potential orthodontic problems. CLEAR CORRECT | Clear Correct uses clear aligner trays that are custom fitted to your mouth and designed to gently straighten your teeth. We use Clear Correct to help our patients who do not want a “tin grin”. 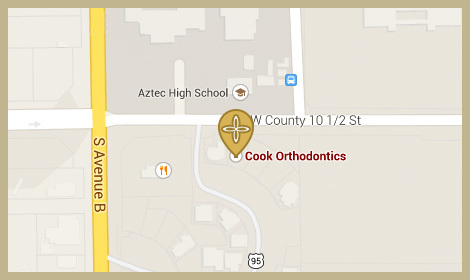 Dr. Cook has two locations in the Yuma area. Our central Yuma Office is located at 2851 S. Avenue B #18 in Tuscany Plaza. Our Gila Ridge Office at 7945 East 24th Street is directly across from Arizona Western College. Treatment at Cook Orthodontics is FUN! We offer Rewards Cards, Facebook competitions, pumpkin-carving contests, and other promotions, games, and contests to make your experience at Cook Orthodontics something to look forward to. We would love to help you to have a beautiful, healthy smile that lasts a lifetime. Call our office today to set up an appointment and to learn about our affordable and flexible financial plans. Incredible Results & Inspiring Journeys!